According to the U.S. Fire Administration, "....home fires are more prevalent in winter than in any other season. This is due in part to an increase in cooking and heating fires. Holiday decorations and winter storms that can interrupt electrical service and cause people to turn to alternative heating sources also contribute to the increased risk of fire in winter." Because of being just on the brink of winter, we feel it's important to remind you of certain safety aspects being that Fires are more prevalent during this season. One way to keep yourself safe and secure in case of a fire is to keep Emergency Escape Ladders in the rooms in your home that would need it. This is one of those products where it's truly better to be safe than sorry. 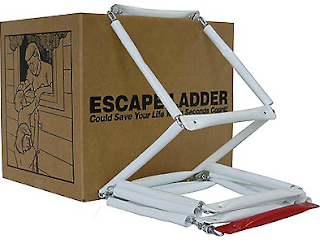 The ResQLadder Emergency Escape Ladder is just the product to give you peace of mind in knowing you always have a way out in the event of a life-threatening fire emergency in your home or workplace. They're conveniently sold in either 3-room 2-story ladder packs, 3-story ladders, 4-story and even up to 5! This means if you're living up high, in an apartment or a dorm room and need an escape, you've got one. These are great and designed to be portable, easily accessible, with no-installation necessary. They're tested to support over 1000lbs and designed to fit standard windowsill wall up to 10" thick. They're easy to install or remove. 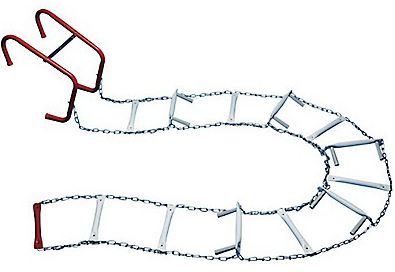 They're available with plastic sleeves to cover the chain links for easier hand-hold safety, for children, etc. Think ahead, and get your family safe in the event of an unfortunate emergency. Check out all our ResQLadder packs, today!